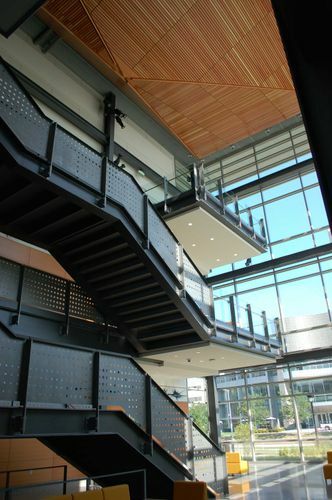 The Center for Innovation in Medical Professions, located at Cleveland State University, Cleveland, Ohio, is a new 103,000 square foot building that will house simulation labs, classrooms, offices, and various flexible research areas with advanced technology allowing for multiple modes of teaching, interaction, and the potential for distance learning. 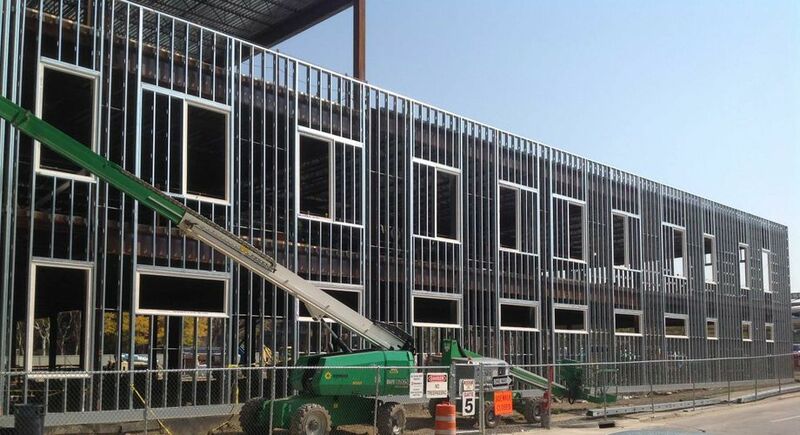 OCP Contractors was contracted to provide light gauge framing, sheathing, metal framing, insulation, drywall, doors, frames, hardware, architectural woodwork, carpentry, acoustic ceilings, custom ceilings, and a host of specialty items on the project. The exterior light gauge framing was unique in that OCP Contractors was tasked with adhering to stringent, and above industry standard, tolerances due to an exterior skin comprised of terracotta panels that were being manufactured to size in Germany. This was successfully accomplished through the utilization of pre-fabricated wall and window components constructed by OCP Contractors at their offsite facility. 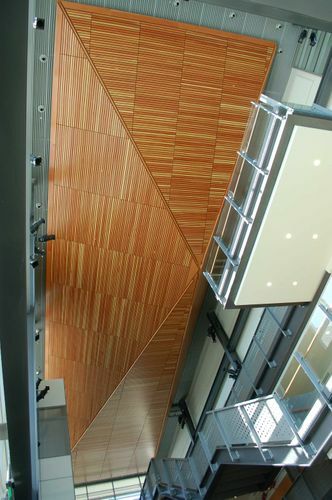 Classrooms and multi-use areas are centered around a signature 3-story atrium area whose various major design elements provided by OCP Contractors include, custom wood acoustic wall panels, decorative art glass panels, corrugated metal ceilings, and an iconic, custom fabricated, three-dimensional wood ceiling component with similarities to the hull of a large boat. 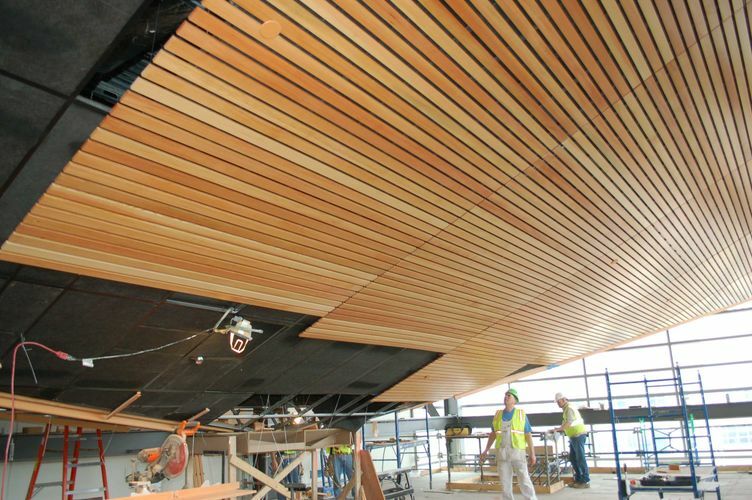 A demanding schedule was further hampered by both out of the ordinary winter conditions and design challenges associated with the all of the custom elements included in the building. 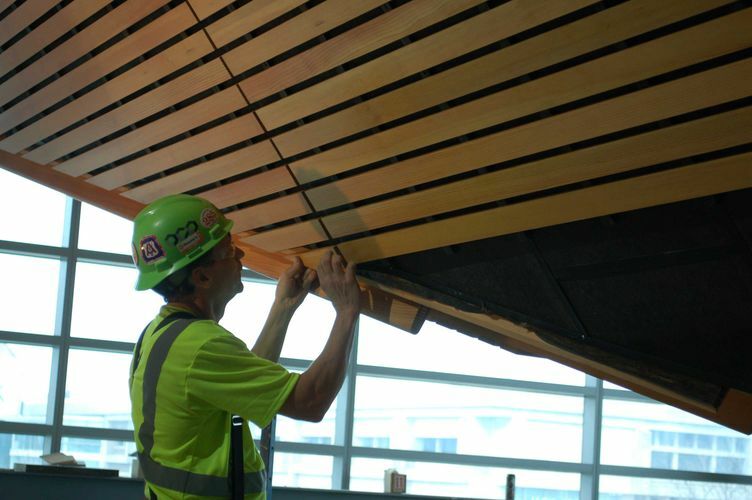 OCP Contractors met the challenges utilizing a superiorly trained and dedicated workforce and by helping foster a mutually cooperative and beneficial relationship with the Construction Manager and all other trades. 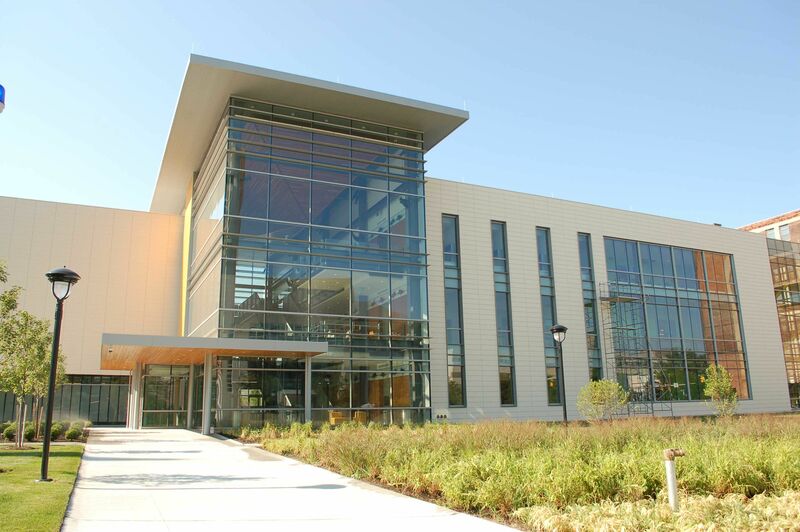 The building opened on time and as promised on July 4th 2015.